Marvel over sacred temples, scenic rice fields and shimmering lakes on this private full-day tour of Northern Bali from Denpasar. Admire the spectacularly situated Tanah Lot temple; learn the fascinating history of the UNESCO-listed Jatiluwih rice terraces and sample Indonesia’s famous Kopi Luwak, the most expensive coffee in the world. Keep your camera to hand along the way, as you pass the Twin Lakes of Buyan and Tamblingan, the Pura Ulun Danu Bratan temple and the peaks of Mount Agung and Mount Batukaru. You will begin your tour at 9am when you are met in the lobby of your hotel by your driver/guide. Your guide will discuss your tour with you before you set off for the day. Firstly you will drive to the Tanah Lot Temple which is around a 45 minute drive. This temple is claimed to be the work of the 16th-century Dang Hyang Nirartha. During his travels along the south coast he saw the rock-island’s beautiful setting and rested there. Each of the sea temples were established within eyesight of the next to form a chain along the south-western coast. In addition to Balinese mythology, the temple was significantly influenced by Hinduism. Continue onto Jatiluwih, one of the biggest rice terraces in Bali. Jatiluwih village is located in the Penebel District, north of Tabanan. It has paddy fields following the contours of terraced land against the background of spellbinding Mount Batukaru and Mount Agung. They use traditional Balinese irrigation known as subak, Bali’s community-based water control management system. They lie at an altitude of 700 meters which is a cooler climate. You will then travel to Pura Ulun Danu Bratan, one of the most amazing temples in Bali. The temple complex is located on the shores of Lake Bratan in the mountains near Bedugul. Water temples serve the entire region in the outflow area. Downstream there are many smaller water temples that are specific to each irrigation association (subak). Visit the twin lakes of Buyan and Tamblingan which are connected with each other underground. There is a wooden platform which you can stand on to get a better panoramic view. 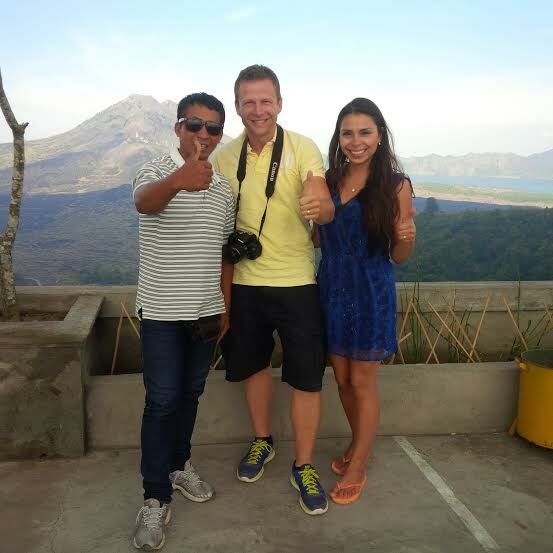 On the way back to your hotel you will visit a coffee farm to taste local Bali coffee. Have a unique experience drinking a cup of Luwak (Civet) coffee that has passed through a furry mammal and is one of the most expensive coffees in the world.